It was sad news to hear about the passing of Prince, yet another music icon to die in the past year or so who had a major impact on pop music. I was a fan of Purple Rain, even to the point of recently learning to play an acoustic guitar arrangement of the song. All the purple-tinted condolence photos, musical tributes by artists drenched in purple stage lighting, and articles mentioning one purple thing or another got me thinking. How much music has been influenced by the color purple? Well, the first thing that comes to mind is the novelty song Purple People Eater by Sheb Wooley. It was a number one hit in 1958. I always thought the “eater” was purple, but years later, after careful analysis of the lyrics, the creature himself may not be purple at all. The creature says that “eating purple people… sure is fine.” Then I guess most of us are safe, unless we hold our breath too long. One of my sixties guitar heroes was Jimi Hendrix. Upon hearing Purple Haze for the first time, I was immediately addicted to his music. “Lately, things don’t seem the same…” is a mantra oft repeated in my brain since college graduation. I heard Nino Tempo and April Stevens croon the song Deep Purple back in 1963. That song was intended to be the B-side of Tempo and Stevens’ single titled I’ve Been Carrying A Torch For You So Long That It Burned A Great Big Hole In My Heart, which had the distinction of being the world’s longest song title. Ironically, that distinction was purloined by Prince himself in 1984, whose B-side of When Doves Cry was titled 17 Days (the rain will come down, then U will have 2 choose, if U believe, look 2 the dawn and U shall never lose). Whew! Both lengthy titles were rivaled by the 1961 Ray Stevens song, Jeremiah Peabody’s Polyunsaturated, Quick Dissolving, Fast Acting, Pleasant Tasting Green and Purple Pills, that even contains the word “purple” in its title. The other “Deep Purple” was the name of an English rock band whose 1968 album, The Book of Taliesyn, is the only recording of theirs I ever owned, four years before Smoke on the Water became a huge hit for them. 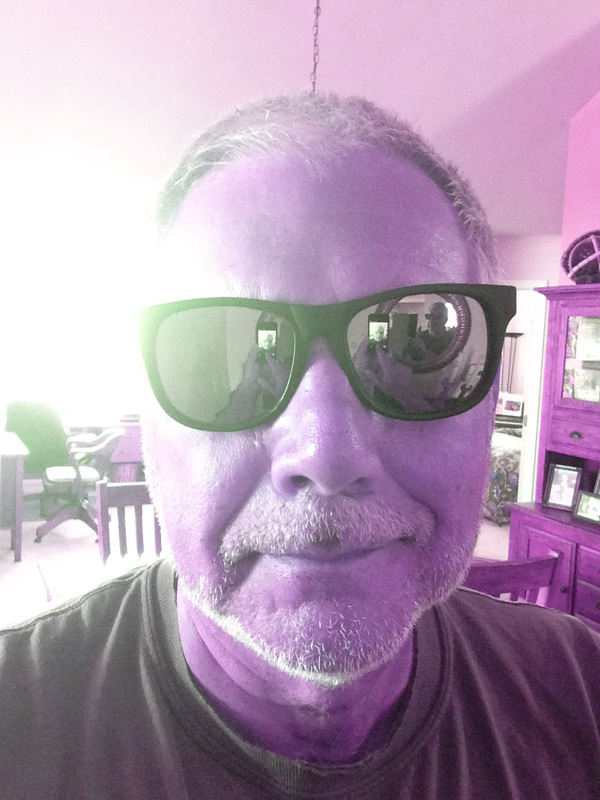 Now if I were to really stretch things, I might mention Moby Grape, a great San Francisco band from the late sixties whose only connection to the word purple is in the “grape” part of their name. However, if I go down that road, I’d probably need to pour myself another glass of wine. And though it would say red on the label, it would be purple in my glass… and hazy in my brain. So for now, When the deep purple falls over sleepy garden walls, it’s time for bed. < Previous Pass the Wavy Gravy, please. Prince was a great musician and humanitarian. Every time I’ve seen him perform on television I’ve been awed by his talent and skills. Another artist I’m sorry to have never seen perform live. So glad you enjoyed this humble post.